You are probably not taking full advantage of Instagram Analytics or Instagram Analytics tools. This post will change all that. Get ready to learn. Welcome to the age of Instagram, the photo-driven platform that’s taken the social media world by storm. After all, it currently boasts 700 million active users. And like similar social sites, it’s made a big impact on businesses and how they market themselves to the public. As more and more brands use the platform to connect with followers (and potential customers), there’s an increasing demand for ways to measure the effectiveness of each campaign. The upside here is there are plenty of tools and metrics available to you. The downside is knowing which are most effective. Below, we break down the metrics that matter most, what they can tell you about your campaign, and the tools that will help you do it. All this goes to show that Instagram isn’t going anywhere. Quite the opposite, actually. And it’s high time that all brands, big and small, took full advantage of it. One of the most effective ways to do that is by paying attention to what instagram analytics can tell you. Instagram’s primary strength is engagement. In fact, brands are experiencing nearly four times as much user engagement on Instagram than they do on Facebook. While that’s all well and good, it can be hard to measure a campaign’s effectiveness if it doesn’t lead directly back to a tangible result. Which is why Instagram analytics are more important than ever. With little direct sales to measure, brands need a way to ensure their marketing time and dollars are paying off. We’ll go over all of these in detail below, as well as cover a list of tools that will deliver these metrics. Sometimes, the hardest part of pulling analytics is knowing which to focus on. Below are a few of the key metrics for Instagram. What this tells you: How engaged users are with your content. Likes are relatively easy to come by on Instagram. And while they’re important in their own right, the number of comments is a better metric when it comes to engagement. Comments show you which posts are resonating with users. If they’re truly engaged, they’ll answer a question you’ve asked, leave a compliment or voice their opinion. Even negative comments can give insight into which posts are and aren’t working for your audience. Increased comments could signal a stronger follower base, while lack of comments might mean your content isn’t connecting. What this tells you: Overall reach and engagement with your channel. Your follower number alone won’t tell you much. Unsubscribes or mentions from other accounts may cause brief fluctuations in your account, but won’t give you consistent reliable data. But the growth rate of that following will tell you quite a bit. A positive rate indicates that your content is reaching its audience and connecting. Most tools will offer a follower chart, which allows you to see trends over time and pinpoint any noticeable peaks and dips – and analyze the cause of them in your posts. What this tells you: When your posts perform the best. In social media, timing is everything. It’s certainly the case with Instagram, where 70% of posts don’t even get seen. Given that number, it’s important to know when your followers are on the app and engaging with your content. But even more important than the averages is knowing the right time to post for your audience. Which is exactly what quality Instagram analytics will do. Sure, thousands of followers look great. But if they’re silent, unengaged followers, they’re not doing your brand any good. Always remember: aim for quality followers, not quantity. To calculate, take the average number of likes and comments your account received over the month (most Instagram analytic tools will tell you this), and divide by your current number of followers. This will be your percentage of engagement per follower. The results can tell you a number of things. A drop could mean you weren’t posting enough CTA’s or asking good enough questions to incite comments. To boost the number, analyze what’s performed well in the past and make sure every post provides value to your audience – you want followers to seek out your content, not scroll by it in their feed. Hashtags can make or break an Instagram post. To avoid the breaking, make sure you’re using the right ones. Hashtags increase your chances of engagement and make your content more discoverable. 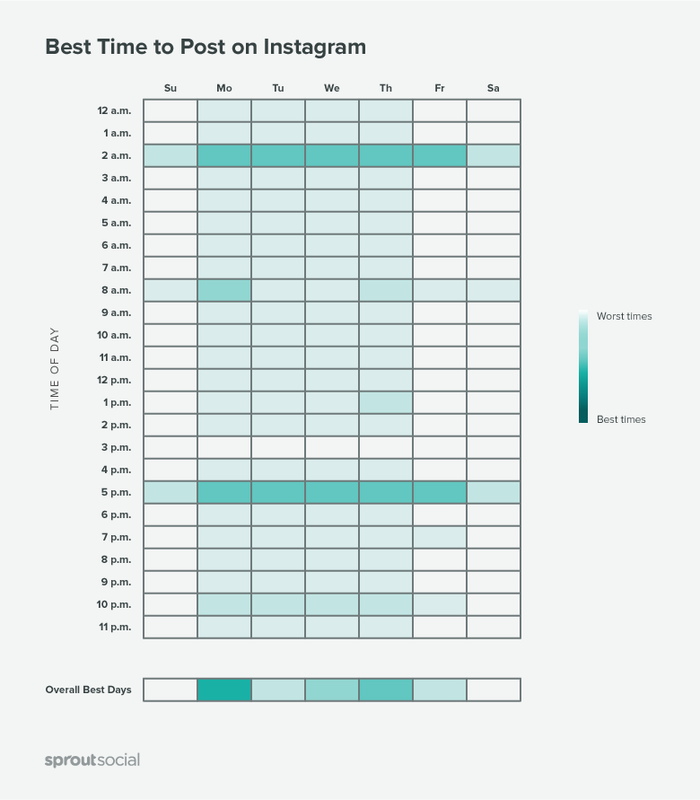 Most Instagram analytics tools will tell you which hashtags are used the most, and which receive the most engagement. The latter is what you want to focus on. Make a list of some of the most engaged hashtags in your niche, and insert them into your posts (remember, Instagram encourages using multiple hashtags per post). From there, you can monitor any increase in engagement and measure the success of any branded hashtags you’re experimenting with. Instagram only allows one clickable link in your profile, so use it wisely. If your goal is to increase your website traffic, your posts should include a clear CTA that tells users to click the link in your bio. Update your link frequently with new blog posts, landing pages, etc. 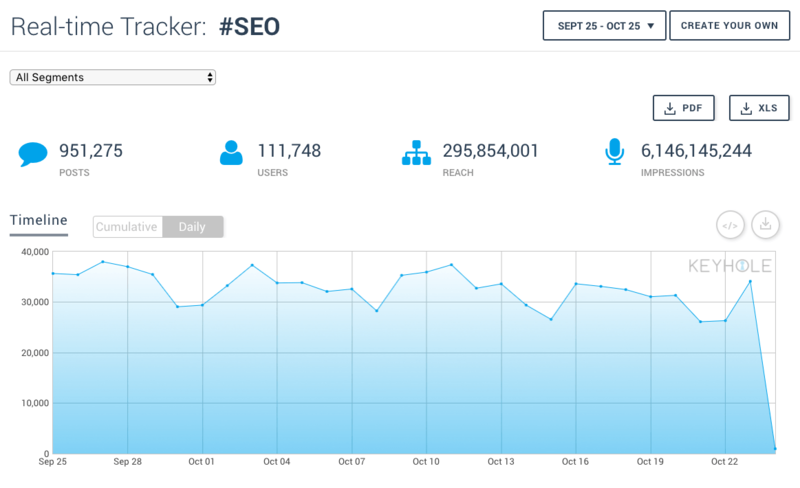 You can track the link through resources like Bit.ly and Google analytics to see how it’s performing. If you find that Instagram isn’t sending as much traffic as you’d hoped, tweak your CTA or incorporate posts that directly correspond to a page on your site. Competitor data is gold when it comes to marketing. Tracking your competitor’s successes and failures can save you time, money, and resources. Many of today’s tools give insight into your competitors: how your content is performing relative to theirs, what has proven successful for them (and what hasn’t), and directly compares follower rates, likes, and comments. With this data, you’ll be able to identify where you may be falling behind. If your competitors routinely receive more engagement, that should be a signal that you need to improve your content or creative. Analyze their content to see what’s done differently. Armed with detailed analytics, brands will be able to form more effective strategies going forward. Luckily, with the emergence of the new Instagram business profiles and no shortage of outside tools, Instagram analytics are easier to measure than ever. 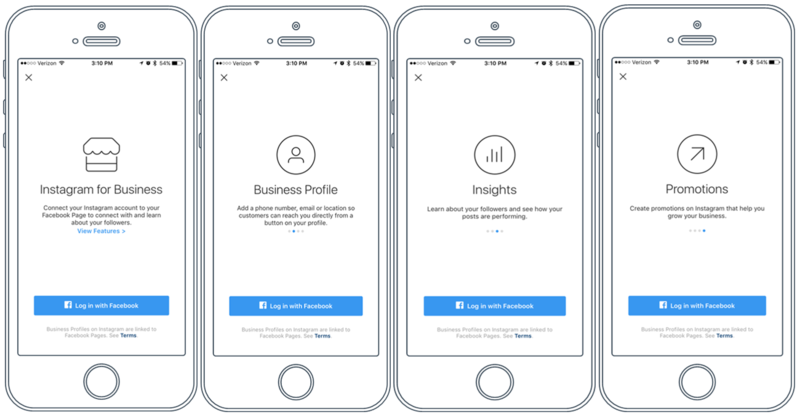 We’ll begin with Instagram’s built-in analytics tools, which premiered with their new business accounts last year. These can only be viewed by brands that have converted to a business account, and offer insights into your account overall or from individual posts. You can also view data on your top posts by clicking on the “view more” link on the top posts section. This will show you your top six posts from the past seven days, sorted by impressions. To view specific demographic information about your followers on the main Insights tab. It will show you what times your followers are on the app, the number of new followers you’ve gained during the week, and view a gender, age and location breakdown. Simply Measured is at the forefront of the available Instagram analytics tools. Using the many analytic tools at its disposal, Simply Measured allows brands to measure their performance by identifying the reach of its hashtag campaigns and monitoring the growth of new and total followers. Additionally, it helps maximize results by reporting on which posts drive the most engagement and identifying top keywords in your niche. It also allows users to do a little spy work by analyzing the performance of top competitors and identifying what has been successful for them in the past. It comes in particularly useful when tracking comment metrics. Simply Measured reports the number of likes and comments on your posts over time, as well as your average number of comments per post. By keeping track of this number over time, you can see if your overall comments are increasing or declining, and tweak your strategy accordingly. Inconosquare offers many of the must-have analytics similar to Simply Measured, including follower growth rate, engagement rate and competitor data. Where it separates itself is with its built-in post manager, which allows you to schedule and manage your posts directly through the site. Along those lines, it also allows you to keep a calendar and schedule posts in advance, making it easier to stay up to date on Instagram. And, if you’re ever struggling for content ideas, Iconosquare allows you to upload pictures and store them or search for photos in their library, making posting fresh content as simple as possible. Keyhole really shines when it comes to tracking hashtags. As we mentioned above, hashtags play a major role in Instagram analytics, and if overall exposure is what you’re going for Keyhole may be the tool for you. Keyhole tracks hashtag usage statistics at an account level as well as real-time branded hashtags. It also differentiates itself by reporting on top posts using the hashtag. On the account level, Keyhole allows you to view your top 5 hashtags by engagement or frequency, as well as the optimal number of hashtags to use for top engagement. Beyond that, Squarelovin offers all the basic analytics like follower count, engagement rate and post performance. But Squarelovin goes above and beyond when it comes to the best times to post. Along with telling you what the best day and time to post is for your audience, it will also tell you the worst times to post on certain days. Instagram analytics are easier than you think. You just need to know what to look for. Each of the above metrics will provide valuable insight into your Instagram marketing campaigns effectiveness, and pinpoint certain areas where performance can be improved. And while we only covered the tip of the iceberg when it comes to the available tools and what they can do, most come with a free trial to introduce you to their different analytics. So get started. Experiment. And most importantly, use your metrics.